Engine oils consist of basic oil and additives. Quality of oil is set on a chemical composition of a basis and components which serve for change of basic oil properties and are capable to improve considerably engine oil, despite quality of a basis. 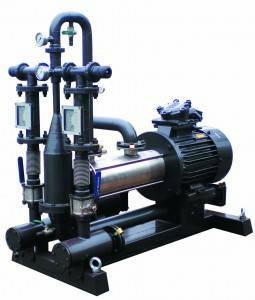 For this purpose improvers shall be applied by quality process and correct technology, in foliation avoidance by using of synthetic blend motor oil system. Mineral components which pass different stages of hydroprocessing, and also by the partial or full substitution of mineral components by the synthetic included in basis of basic oils. The greatest advantages all of them bases ester possess. Molecules at ester possess a polarity, that is they are attracted to metal. The second interesting property that it is possible to adjust viscosity of ester in the process of basic oil production, it will be depends from kind of alcohol that is used. It is possible to increase a viscosity by applying heavy alcohols to oil. By production of ester it is possible to apply also additives for concoction, again using synthetic blend motor oil system which helps to keep a technology. Components improve properties of oils and overall performance of the engine: increase of details wear resistance and even restoration of their original sizes, fuel consumption and oil lowering, reduction of toxicity of the fulfilled gases, increase in run before oil change, compression increase. There are possible to offer components in suspensions which contain the smallest particles of solid lubricants (graphite, a molybdenum disulfide), rubbing details forming on a surface, the thin layers hindering contact of metal with metal, and also fluorine and chlorine connections. Synthetic mixing motor oil system “USB” is intended for compounding from two to five separate components and dilution of any liquids in a flow, and also engine oil with additives and other components. 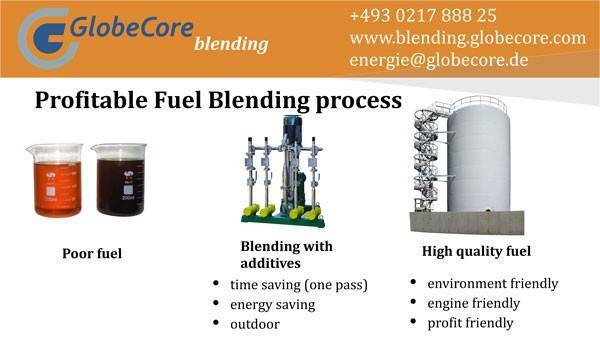 In the hydrodynamic adder of synthetic blend motor oil system the mixing process allowing at the same time to give all components in the given prescription ratio in the common mixing collector and final product moves to tank . Advantages of such technology are exact monitoring of dispensing of each component, the considerable abbreviation of duration of a blending cycle and a failure from use of mixing capacities for support of homogenization of a ready-made product. If you want to reduce expenses of you company for fuel production, “USB” cavitation blending system could help you to do that. To receive extra information contact us and technical manager will call you back or download inquiry list and receive free catalog.